ROAPE’s Leo Zeilig interviews the Kenyan activist Gacheke Gachihi who is the coordinator of the Mathare Social Justice Centre in Nairobi, which organises campaigns against police brutality and killings. In this interview Gacheke speaks about the struggles in the last twenty five years against police brutality and extra-judicial killings in Nairobi and some of the organisations and social movements that are confronting the Kenyan state on this issue. Gacheke also introduces the extraordinary short documentary, just released, which charts the campaigns against these killings, from within Nairobi’s poorest settlements. 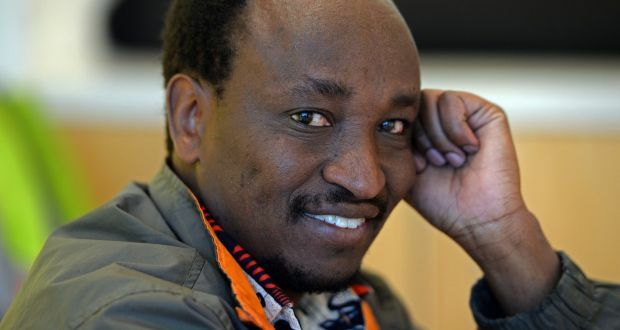 The interview was conducted via twitter as Gacheke attended a major social movements conference with activists in Nairobi. Please can you introduce yourself and tell us briefly how you became active? My name is Gacheke Gachihi and I am coordinator of the Mathare Social Justice Centre (MSJC) and member of the Social Justice Centre Working Group [Mathare is a large-scale informal settlement in Nairobi, housing approximately 300,000 people]. The MSJC created a path for social justice centres as public/open spaces to convene grassroots social movements and community organizing against police brutality and extrajudicial killings in Nairobi – this was our first and principle objective. My own political consciousness evolved in early 1992 in the Huruma Car Wash centre in Mathare, where I was first exposed to police brutality and social injustices …. I started a campaign against this violence and social injustices by distributing human rights posters and leaflets against police brutality and killings. Later I became community organizer in Mathare and other informal settlements in Nairobi that also face systematic police brutality and extra-judicial killings of youth between about 14 and their early 20s. Though as a young man from a poor rural area, forced to survive by his wits, in a city like Nairobi, my entire early life was political. Yet it was only as I became organised and started organising my work mates did this ‘politicisation’ – consciousness as its called – became explicit. As the coordinator of the Muthare Social Justice Network can you explain to our readers what you do and what the major issues are in Kenya and Nairobi at the moment? I am a community organizer. We organize and coordinate political accountability and social justice campaigns to mentor a new generation of activists, as well as build similar grassroots movements and organisations across Nairobi and in other parts of Kenya. Kenya today is facing a serious crisis of an alternative to the current political leadership that can inspire hope across the country and among the young. As you know, our fight – as we see across much of the continent – is against an inherently, deeply violent neoliberal economy, that is manifesting in systematic corruption, ethnic mobilization and political violence and unemployment which results in the criminalization of youth in the informal settlement. Less reported by academics, professionals and the media is the action of groups like ours, and other organisations in communities and settlements in the major cities. The economic and political violence of modern Kenya is devastating for everyone, but especially the victims and the families of those murdered in these extra-judicial killings. However, where there is injustice on this scale, there has been – and will continue to be – resistance by the communities, and much of this is organised. Our small group, and other similar ‘justice centres’ is evidence of this push back and the attempt to draw attention to state violence against the poor. And we have scored some impressive successes – as the film we have made demonstrates. For a long-time you have been involved in bringing attention to extra judicial killings. Can you explain to our readers what this activism involves? How bad is the problem in Kenya? Police violence and killings are rooted in the history of Kenya’s neo-colonial state that we inherited from the British. Related to this, is the deep corruption of security agencies that has led to systematic police brutality, extortion and summary execution of youth in the informal settlements across the country and in Nairobi in particular. Let me give your readers an example: Mathare Social Justice Centre has documented more than 800 cases of police killings by the police, and other state agents, between 2013-2015. Imagine that number, which is considerably more than the total British army fatalities in Afghanistan! [according to the UK’s Ministry of Defence there were 173 deaths of army personnel in Iraq between 2003 and 2011, and in Afghanistan 454 British forces personnel deaths between 2001 and 2015. A total of 627]. We don’t say this, but these are the statistics of a war, not a figurative, metaphoric war of poverty against the poor, which exists, but a targeted actual social conflict, organised by the state to pick off and kill members of Kenya’s poorest. The details of these killings can be found in our action report Who is Next. It’s an important report which exposes how police killings target the urban poor and marginalized for killings in the name of fighting crime, which has seen the criminalization of urban poor youth, as the permanent neoliberal economic crisis pushes millions of Kenyan youth into poverty and hopelessness. If this sounds dramatic, it is only because the concrete situation is. You have also been involved in an excellent documentary which roape.net are delighted to host, can you speak about the film and your hopes for it? We hope the film will inspire resistance against police violence and killings, and galvanise the struggle more widely against Kenya’s economic brutality. We also have an organisational objective: we hope the film will help us to unify social struggles in Kenya among the urban poor and create similar Social Justice Centres as spaces to organize, educate for liberation the urban poor and youth, as well as start to widen consciousness so that police violence is seen as part of Kenya’s neo-colonial state that must be supplanted. The film is also part of documenting our struggles – and organising the ‘memory’ of these struggles, inspired as we are by Thomas Sankara, and many great freedom fighters in Africa. What role can radicals and socialists play from other parts of the continent and elsewhere in the campaigns you are involved in? We need international solidarity to amplify our voices and connect our struggle with international socialist movements also fighting imperialism, police violence and capitalist neoliberalism elsewhere. Our struggle is international, inevitably, as the beast we face in Kenya – killing us on a daily basis – is in various forms the same animal that destroys lives, hopes and communities across the continent, and world. Our struggle must be connected to other movements and activists to survive. We need to unify our resistance and support each other’s campaigns. In Kenya we need to speak, write and explain as widely as we can about these systematic killings and violence, and ask for material support for the campaigns. As a symbolic gesture we are also involved in planting trees in memory of victims of extra-judicial killings and international solidarity movements and individuals can help fund such initiatives as part of the struggle for justice and healing the families of those murdered. Our tiny bubbling spring in Mathare is breaking through…Aluta Continua. Gacheke Gachihi is an activist in Nairobi’s Mathare informal settlement, he is also involved in regional social movements and politics. He was a participant in ROAPE’s workshops in Dar es Salaam and Johannesburg last year. A very inspiring activist doing inspirational and very tough work alongside others we have been lucky to meet as part of our Connections workshops. A powerful read. Thank you comrade for sharing you passion with us. Amazing work done by inspiring activists in Nairobi against police brutality and extra-judicial killings. The important documentary should be watched widely! Thanks to roape.net for hosting it.